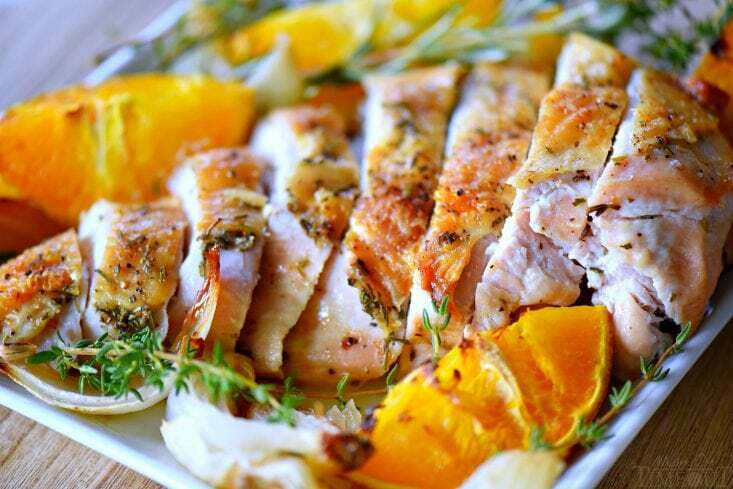 This easy Citrus and Herb Roast Turkey Breast is juicy, delicious, and bursting with flavor! Made with a handful of ingredients, this easy turkey breast recipe is perfect for a smaller holiday gathering or weeknight dinner. Make it with these great sides: Twice Baked Potato Casserole, Slow Cooker Green Beans with Bacon, and The BEST Dinner Rolls! 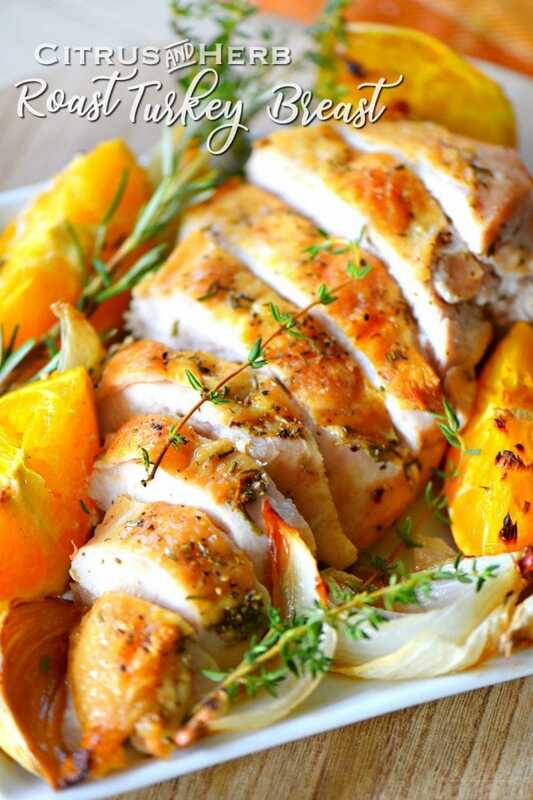 Turkey breast recipes are something special. 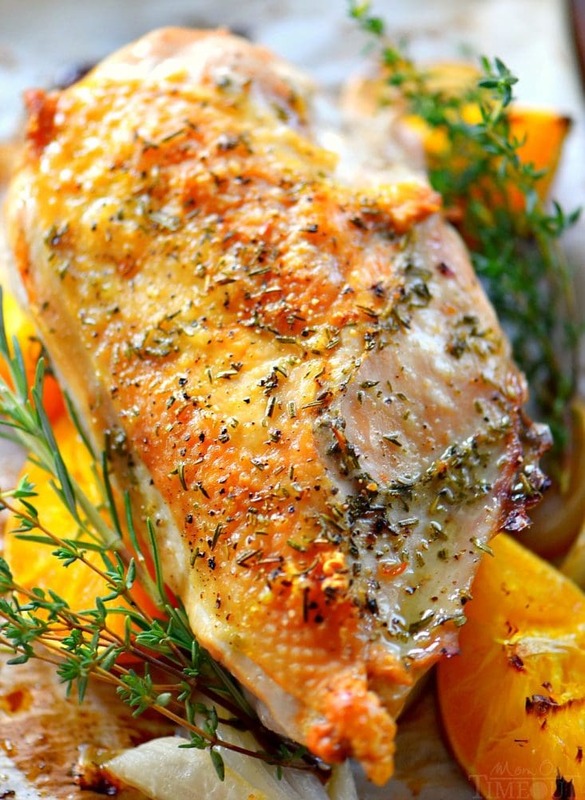 Mostly you see recipes for the whole bird but sometimes you don’t need a whole turkey…. am I right? Turkey is seriously the most underrated protein. I will never understand why so many of you wait until Thanksgiving to enjoy this deliciousness. 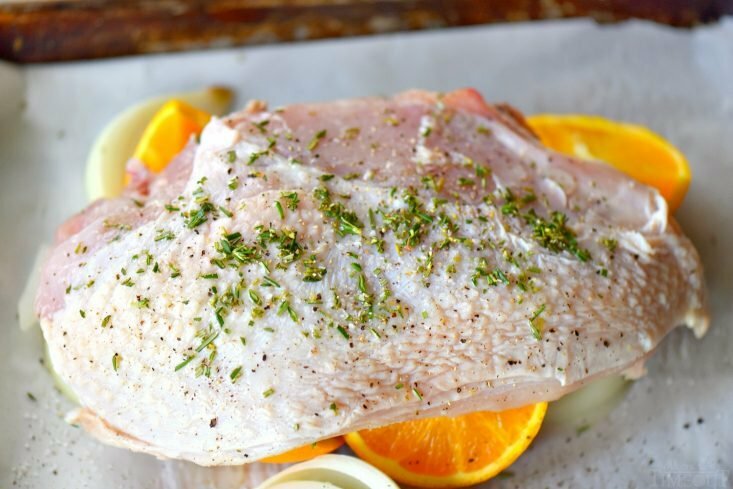 There is a slow cooker citrus herb turkey breast recipe on my site that is a total life saver most holidays, but I wanted to share this easy oven roasted version with you as well because it is seriously mouthwatering and wonderfully easy. I stock up on turkey breasts during these winter months so I can make this turkey all year long. It’s just that good! There is no brining, no basting, nothing difficult. It’s simple, fresh flavors that give the turkey its amazing flavor and will really wow your taste buds. I’m going to be preparing this recipe for the holidays this year. I love the amazing flavor with minimal effort. You can even roast additional turkey breasts if you need to. I’ve done up to four at one time. Just make sure they all have plenty of room on the baking sheet. Totally gorgeous, right? I used a half-breast for this recipe but you can use a whole breast if you need the extra meat. A half-breast typically serves 4 to 5 people so go bigger if need be. 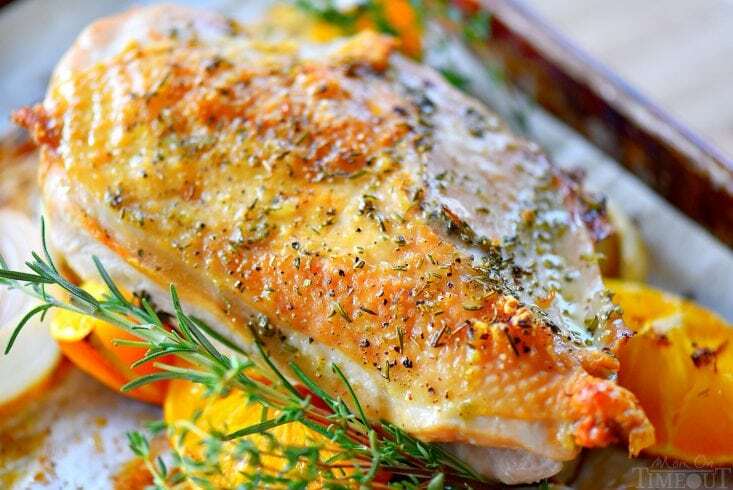 The turkey smells so good while cooking and when it comes out of the oven, your mouth will start watering. Promise. 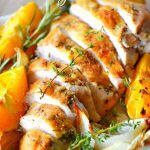 This is one of my favorite recipes for turkey breast and it comes out gorgeous, flavorful, and juicy every time. A true winner! Serve this up to your friends and family this holiday season but don’t wait too long to make it again – turkey is just as yummy as chicken!